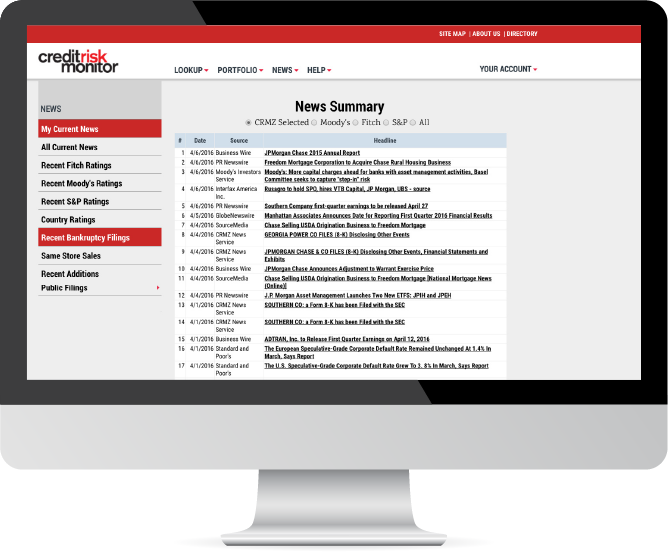 CreditRiskMonitor is a financial news and analysis service that helps procurement professionals stay ahead of and manage supplier risk quickly, accurately and cost effectively. More than 35% of the Fortune 1000, plus thousands more worldwide, rely on our commercial credit and financial risk analysis covering 57,000 public companies worldwide. 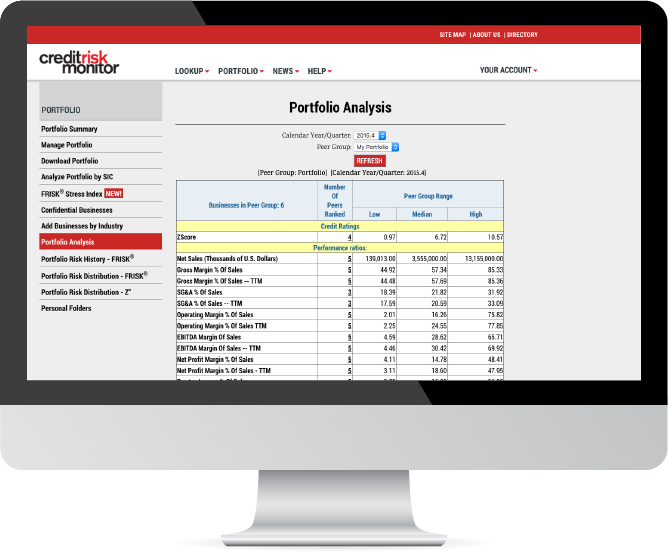 Unlike other commercial credit bureaus, CreditRiskMonitor’s primary expertise and focus is on financial analysis of publicly traded company risk. 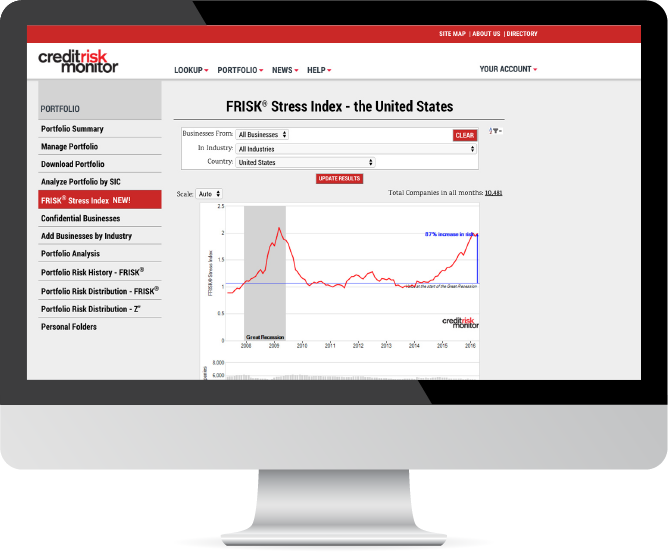 At the core of CreditRiskMonitor’s service is its 96% accurate FRISK® score, which is formulated to predict public company bankruptcy risk. 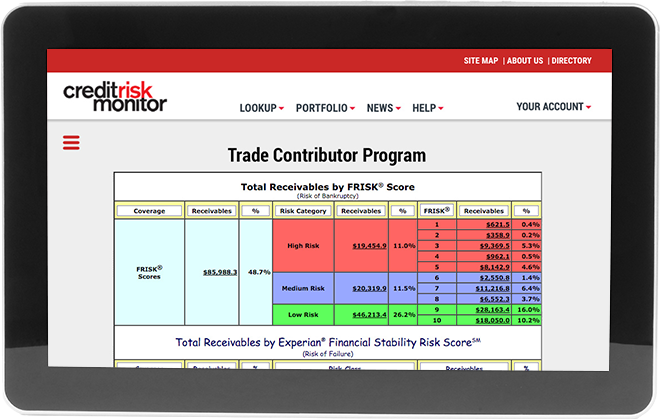 One of four key components calculated in the FRISK® score is crowdsourced subscriber activity. This unique system tracks subscribers' patterns of research activity, capturing and aggregating real-time concerns. 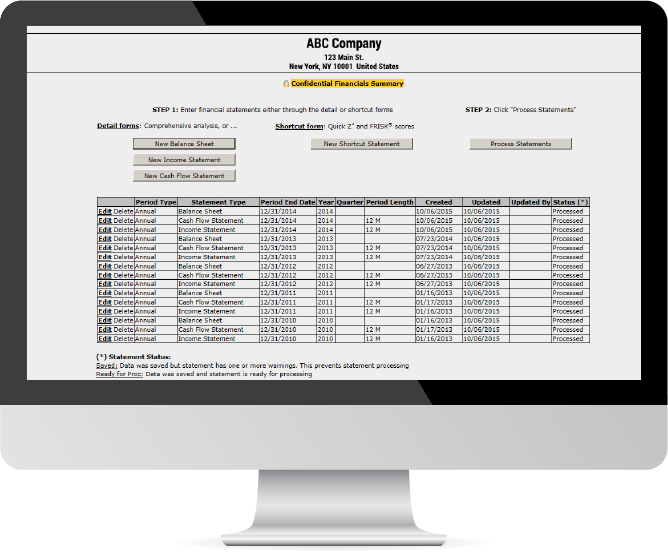 Other features of CreditRiskMonitor’s service include timely news alerts, peer and industry analysis, the Altman Z” score, agency ratings, financial ratios and trends.